The Taos Winter Sports Team is very excited to announce the funding of the James Herrera Scholarship Fund. This fund is in memory of James Herrera, a former ski team athlete and coach, who entertained team members, coaches and families with his exceptional personality and skiing skill. 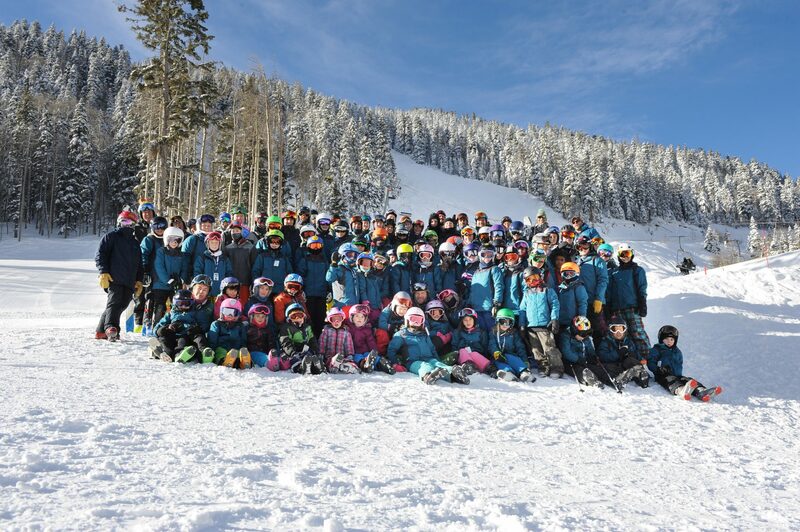 The Taos Winter Sports Team is a 501c3 established in 1976. The team provides coaching, training, and competition support in three different snowsports: Ski Racing, Slopestyle, and Big Mountain. Ski racers learn carving fundamentals allowing them to race in regional events across New Mexico and Colorado. Slopestyle is a new Olympic sport that allows athletes to compete in terrain parks, using jumps and park features. Big Mountain events bring athletes and natural terrain together for an exciting mix of competition and creative skiing. The athlete will ski an area of a mountain and will be judged on control, technique, and fluidity. This fund has been established and will provide need based scholarships for local athletes who want to train and compete in ski racing, slopestyle, or big mountain skiing. Funds could include program/coaching fees, season passes to TSV, equipment, competition entry, and travel expenses.